This week (Feb 27 to March 3) is dedicated to silhouettes and the many ways to enjoy this powerful art form. Note: It is best to have some colours to guide you as you look for the images to use for the silhouette. Believe me, this will save you a lot of time. 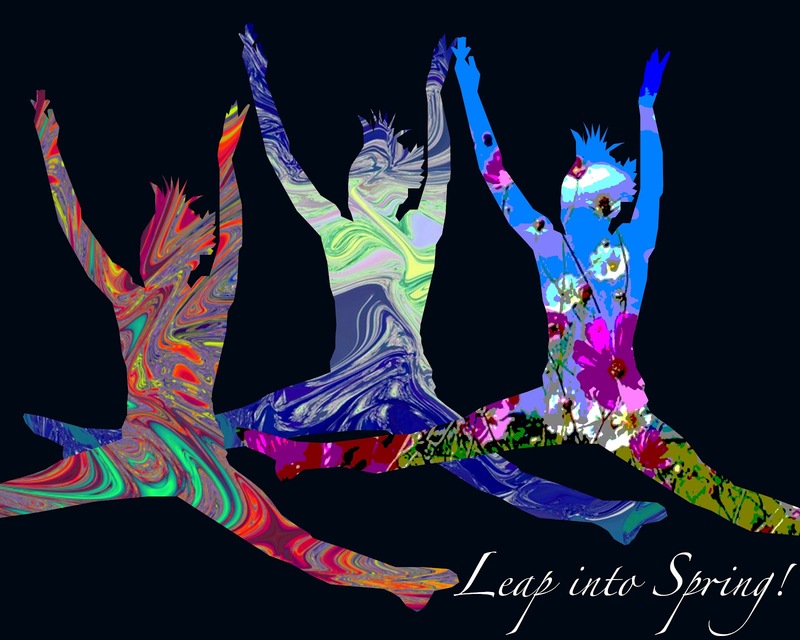 When I picked the twirls/landscape for silhouette design -I was thinking about the burst of colour/life that is Spring. I also kept in mind the favourite colours of Erin – pink, purple, blue. Drag in photos 1-4, they will come in as separate layers. Make sure that the parts of photo 2-4 that you want to use are big enough to match the size of the action profile. Trace the action profile on photo 1 using a lasso tool. I used the polygonal lasso tool which lets you do custom tracing step by step. Once you have traced the silhouette select the photo 2 layer, and choose copy & paste. This creates a new layer with your action silhouette. Select photo 3, and choose copy & paste, this makes another layer for your second action silhouette.Select photo 4, copy & paste to make the last layer for the third action silhouette. Repeat step 4 as many times as you need to, depending on the number of design/landscape layers you wish to apply the traced silhouette to. Select white background layer and change it to the colour of your choice. Print and hang or use as an image for a greeting card. This entry was posted on March 1, 2012 by Paulina Constancia in Create, Teach and tagged Arts & Crafts, dance.